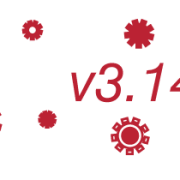 Animana 3.14 contains a major new feature which allows you to search Animana protocols and custom protocols created by your clinic. We strongly recommend you to read these release notes carefully in order to stay up to date with the changes made. We have re-developed and expanded the existing protocol (previously called “History”) search functionality in Animana. In 3.14, you will be able to search per protocol used; this includes the general consult protocol and other Animana protocols, like ‘Horse Lameness’, in addition to all protocols created in Animana by your clinic (Custom Protocols). You will be able to search on a specific date range for when a specific protocol was used, thus allowing you to determine frequency of certain diseases or conditions, as well as to see on which patients those specific protocols were used. You will also be able to search on a specific species, active or inactive patients or on certain words or string of words used within a protocol. Learn more about how to use the new and improved protocol search functionality by viewing the Knowledge Base Article. If you have any questions about this release or any other existing features, do not hesitate to check the Knowledge Base or get in touch with your local Animana Customer Support team idexx-animana-support-uk@idexx.com.